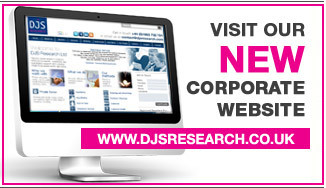 DJS Research is committed to respecting the privacy of visitors to its Web sites. The guidelines below explain some of the steps we have taken to protect the privacy of visitors to DJS Research Website and its features. DJS Research protects the identity of visitors to DJS Research Website by limiting the collection of personal information. For certain promotions and to access certain features, such as to receive a periodic newsletter, we may request a voluntary submission of information such as name, e-mail address, city etc. Periodic e-mail newsletters highlighting new features, content, and usage tips for the DJS Research Website. Periodic special offers for additional DJS Research products and services. Anonymous aggregated data may be provided to other companies we do business with for statistical or market research purposes. For example, we may report to advertisers that a certain percentage of our site's users are adults between the ages of 25 and 35. DJS Research may also disclose personally identifying information in special legal circumstances. For instance, such information may be used where it is necessary to protect our copyright or intellectual property rights, or if the law requires us to do so. We may occasionally conduct on-line surveys. All surveys are voluntary and you may decline to participate. We may use cookie technology and software logs to monitor the use of the DJS Research Website and to gather non-personal information about visitors to the site. None of the information we gather in this way can be used to identify any individual who visits the site. These monitoring systems allow us to track general information about our visitors, such as the type of browsers (for example, Netscape or Internet Explorer), the operating systems (for instance, Windows or Macintosh), or the Internet providers (for instance, AOL) they use. This information is used for statistical and market research purposes to tailor content to usage patterns and to provide services requested by our customers. All of the content on the DJS Research Website is copyrighted by DJS Research, 17 Rock Bank, Whaley Bridge, High Peak, SK23 7LE, United Kingdom, and cannot be redistributed or used for commercial purposes without prior notice and confirmation. If you have questions about DJS Research or its products, visit our Contact Us page to find our contact information details.